We've heard plenty of reports and rumors about Apple launching its own music streaming service with the goal of competing in the same space as Pandora and Google's newly launched 'Play Music All Access'. A report from Bloomberg now suggests that the iAd team (advertising sales) is shifting its focus to support the streaming service as Apple prepares to offer a free ad-supported option, having users listen to music with ads, similar to what Spotify or Pandora are doing today. iTunes is already one of the biggest online music stores, but this would be a new space for Apple, as it has seen most of its success selling digital and physical products, not advertising. There is a certain amount of risk involved, both for would be advertisers and record labels considering that at launch the streaming service will still be in its infancy and it's going to be hard to predict how quickly users adopt it and ultimately how many users the ads will reach. 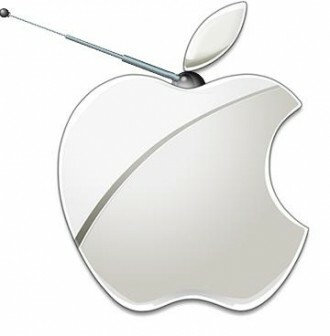 With this in mind, much of Apple's sales team is reportedly focused on getting big brands to support the radio service. Apple's WWDC conference is just around the corner, running from June 10-14, and it seems likely that the company will announce the streaming radio service along with other relevant details at the event.